On August 2 he harpooned a large pike in Siberia. A video of this hunt shown by TV to Russian population was intended to promote further support for nature conservation and animal protection. On August 3 the President switched on three turbines of newly built 320 MW Lower Bureya Hydro, a new station now producing electricity in the Far East region known for gross surplus in electricity and unwillingness of capricious China to import more from Russia for market prices. President noted that destruction of environment accompanying creation this new industrial monster was less than in any previous hydropower plant construction in the Far East. On August 4 the President visited Baikalsky Biosphere Reserve,where he released into Lake Baikal several thousand Omul Whitefish smelts (likely to compensate Mother Nature for the recently killed pike) and held a meeting on sustainable development of Baikal Region. Part of this meeting was dedicated to dams planned by Mongolia in Selenge river basin, which can negatively impact Lake Baikal. Below is an excerpt from the official record of the meeting. I should mention the trans-border danger the territory is still facing – namely, the construction of a hydroelectric power stations on the Selenga Rive, in our neighboring friendly country of Mongolia, and the lack of legal regulation for this issue. 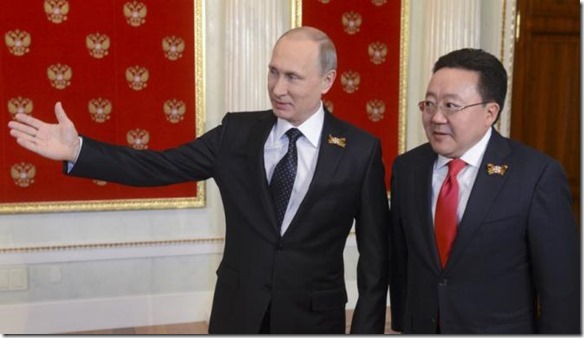 Due to your personal involvement, a year ago, at a meeting with leaders of Mongolia and China, this issue was postponed. However, it is still on the agenda. A possible solution here could be Russia’s participation in the existing international legal mechanism – the(Espoo) Convention on Environmental Impact Assessment in a Transboundary Context. I will also add that in 2011, the President of the Russian Federation issued instructions to ratify Russia’s accession to this convention. The instructions have not been implemented yet, although the legal framework has been developed by the Ministry of Natural Resources. By the way, this directly concerns strategic environmental assessment (SEA – rules and regulations are described in Kiev Protocol adopted under the Espoo convention- comm. RwB). Accordingly, there is a request and proposal to task the Government of the Russian Federation with ensuring our country’s accession to this convention as an international legal mechanism for solving these issues and facilitating the approval of the draft law developed by the Ministry of Natural Resources, under the guidance of the Ministry, I would say. I have to note that joining the convention will ease the implementation of other projects in other regions. Suffice it to say, when the Nord Stream pipeline was under construction, in accordance with its international obligations, Gazprom had to undergo a procedure of strategic environmental assessment, which is absent in our legal framework. Maybe it would be easier to introduce this procedure and have impact on this rather than simply follow external rules? The same applies to Nord Stream 2 and South Stream – this is an opportunity to work in the existing legal framework. I think it is very important. Russian Federation President, Vladimir Putin: Thank you very much. Regarding the hydroelectric power stations in Mongolia, China is not involved in this issue, this is a Mongolian project. I spoke with my (Mongolian?) colleagues, but they said they were not going to build on the Selenga River but rather on one of its tributaries, on a small river, and that this allegedly would not have any impact on the environment. But we are in contact with our colleagues, and will work further(on assessments and alternatives?). I think that a proposal should be considered to hold such environmental assessments at an international level, with a broad discussion. This is certainly the right thing to do. The reasonability of Russia’s joining international documents and conventions has to be considered as well. This has to be a comprehensive assessment. Yes. 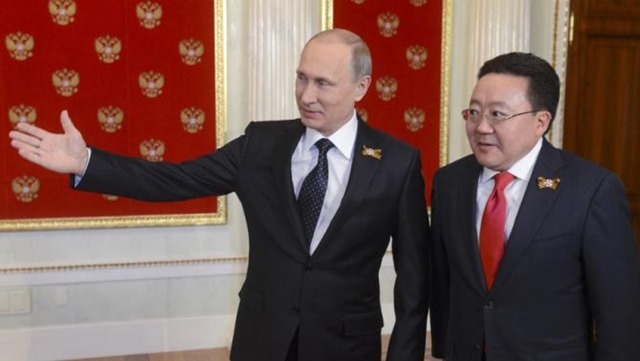 Mr President, as regards the Mongolian hydroelectric power stations, we have made a proposal to our Mongolian colleagues to deliver electric power to them. The region produces more than it needs with the underutilized Gusinoozyorskaya Thermal Power Station. Preliminary assessments shows we will have a competitive price for electric power, judging by what they would receive from us and what they would receive from their hydroelectric power stations, taking into account the amount of investment needed for these stations. With the hydroelectric power stations, they will have to get loans from China, as is currently their plan. With us, they will not have to. I would like to ask you to issue instructions to work out together with the Energy Ministry the balance of electric power and the volume of investment so we could make an official proposal to our Mongolian colleagues on the terms and the price. Fine, let us include this in the instructions, and the Energy Ministry will make the calculations.Thank you very much. The RwB Coalition hopes that this verbal support will result in concrete action of Russian Federation to support implementation of the decisions of 41st Session of World Heritage committee that called on Russia and Mongolia to undertake strategic environmental assessment of energy and water management programs in the Lake Baikal Basin.